Tverskoy Boulevard is the first and the most famous Moscow boulevard. No other street is mentioned in literary works, memoirs and historical documents as often as Tverskoy boulevard is. Every building tells us a fascinating story of the past. All members of Russian literary society are in one way or another related to the history of Tverskoy boulevard. Buildings of almost all architectural styles adjoin here. Nikitsky boulevard (like many other Moskow boulevards, though) came into being after the Great Moscow conflagration of 1812 year. Before the October Revolutions most of the buildings here belonged to titled noblemen or passing rich merchants. Great Russian writers and musicians like Alexander Pushkin and Pyotr Chaykovsky used to take a walk along this boulevard. 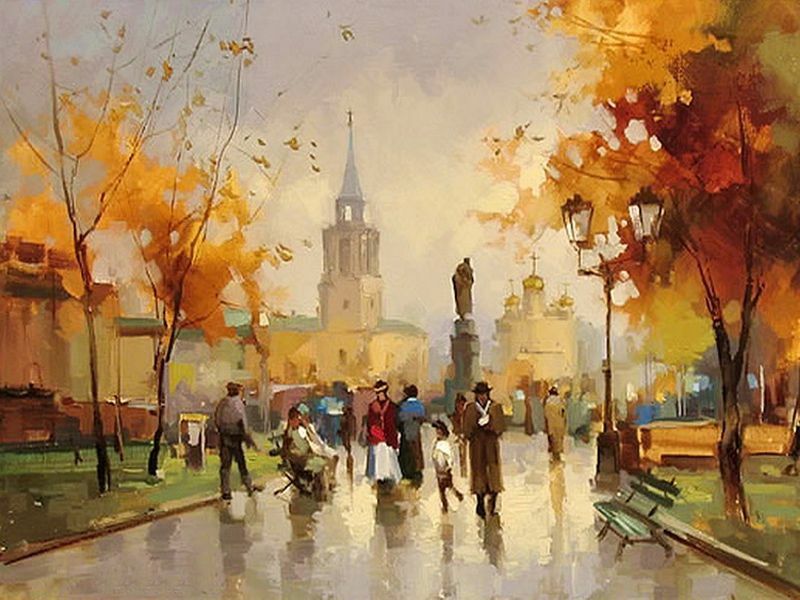 The 19th century guidebooks call Nikitskiy boulevard a favorite place for loving couples’ rendezvous. • where did famous Russian writer Nikolay Gogol live in the last years of his life?